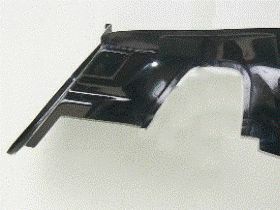 If you have a Corvette and require parts we can supply just about everything you need from C1 to C5 models. We have a large inventory in Australia of mostly C3 parts, some C4 parts and relationships with multiple overseas suppliers for other generations. We can import anything you need if it is not in stock. We carry over 4000 items in inventory in Australia and have on hand over $500,000 worth of parts. 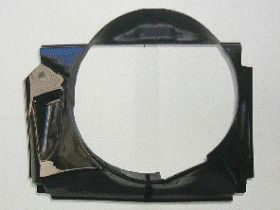 We stock everything except for trim parts, weather seals and instruments. We manufacture panels locally for the C3 generation Corvettes including bonnets, inner guards, rear tail panels, door skins, custom hoods, deflector panels, front guards and front clips. We also produce an Indy front spoiler that is a one piece reinforced product that is stronger and better built than the originals. All panels are finished in gloss black. All general panels for C3 are available. 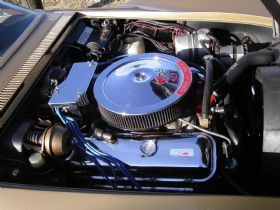 We are cooling system gurus and guarantee to fix any overheating small or big block engines. We can carry out all electrical work on C1- C3 cars and provide electrical spare parts. We do brake upgrade kits for C2, C3 and C4s as well as suspension upgrades for C2 and C3s. We can provide Power Steering Conversions for C2 and C3s as well as convert your gearbox from manual to auto or auto to manual. We stock a number of products locally that others do not handle such as radiator support panels, radiator assemblies, heater cores, heater boxes, steering column parts and pedals. We also have all the parts required to convert a Corvette back to Left Hand Drive. We can provide full interior trim packages as well as suspension packages to ensure your Corvette looks great and handles well. We have a fully functional mechanical workshop that can install parts, do electrical work and cover just about any job imaginable on your Corvette except engine management on C4 and C5 models. We also provide in house wheel alignment for both the front and rear. Our motto is If we dont fix it, we dont charge. Our trading hours are Monday to Friday 9.00 to 5.00 and Saturday 10.00 to 4.00. Please phone Scott on (02) 9971 8218 for any spare parts enquiries or workshop bookings.